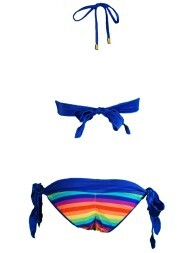 Rainbow Bikini Top: Rainbow bikini top, full coverage triangle halter bikini top style with side coverage. Neck ties with reinforced thickness for added neck comfort, finished at the ends with large gold metal chord locks. Fully lined in hot pink. Large gold Vixen tag at center front. ONLY 1 Left!! 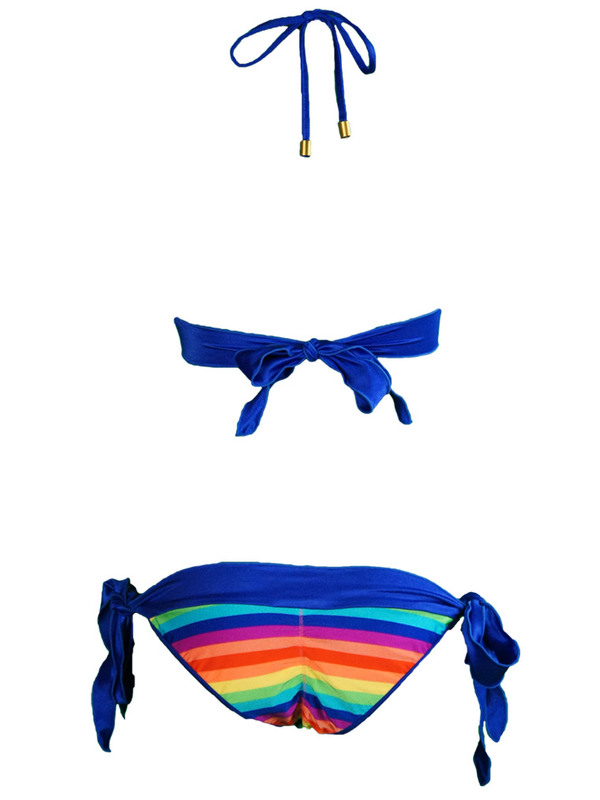 Rainbow Bikini Bottom: Rainbow bikini bottom with rippled ruffle waistband and ties, scrunch bikini bottom, tie side, fully lined in hot pink, large gold Vixen tag at front. ONLY 1 Left! !